Another "History" of the Novel that Fails to Mention Women! I'm a little behind with my reading, so I just now dipped into the 16 May 2016 New Yorker magazine, only to discover Adelle Waldman's piece on Samuel Richardson, "The Man Who Made the Novel." What really bugs is not Waldman's appreciation of Richardson the writer but her complete depreciation of the many women writers who also contributed to the development of the novel. Or, rather, her erasure of these women writers. For Waldman, Richardson is "the man who made the novel." The only other novelists she mentions are Daniel Defoe, Jonathan Swift, and Henry Fielding. What is this? 1970? Sheesh. Actually, Waldman's view of the history of the novel isn't just straight out of my 1970 classroom, it is straight out of Ian Watt's 1957 The Rise of the Novel: Studies in Defoe, Richardson and Fielding--according to Watt, it was the genius of these three men that created the novel. Waldman may not consider Mary Wroth or Margaret Cavendish as worthy precursors to Jane Austen (she ends her piece by claiming Austen "seems to have felt a kinship" with Richardson), but it's hard to swallow that, in 2016, an article about the "making" of the novel fails to mention even one eighteenth-century woman writer who contributed to the development of the genre--Aphra Behn, Delarivier Manley, Jane Barker, or Eliza Haywood, for starters. In 2016, there's no excuse for this kind of refusal to acknowledge women novelists. Okay, Austen may have read and appreciated Richardson. But as Dale Spender noted thirty years ago, the novel had mothers as well as fathers. 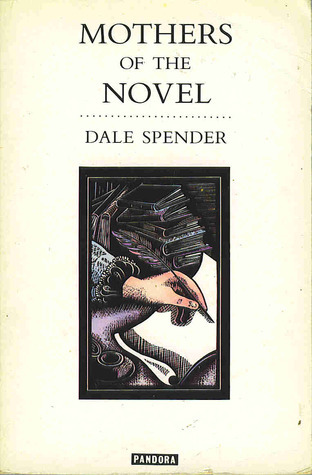 And in her 1986 Mothers of the Novel: 100 Good Women Writers before Jane Austen, Spender lists some 568 novels written by 100 eighteenth-century novelists, all of them women. As Spender notes, "Quantity alone does not satisfy the criteria for excellence. But quantity alone suggests that the criteria in relation to the early novels are not being made explicit. When during the 1700s so many novels were written by women and not one of them qualifies now for a prominent place in the literary heritage, it seems reasonable to claim that what is meant by the standards of excellence is that in order to be great, one must be a man." 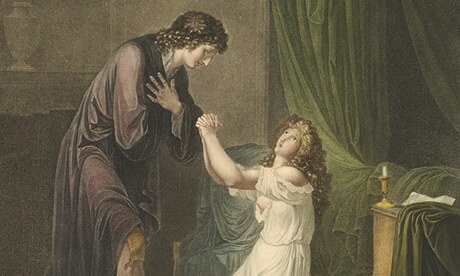 For a contemporary woman novelist, like Adelle Waldman, not to have at least gestured toward the existence of women novelists in her piece on Samuel Richardson--much less to have acknowledged the possibility that women may have also had something to do with the development of the modern novel--is simply unforgivable. And, by the way, while Waldman makes sure to mention the length of Richardson's Clarissa--"some nine hundred and seventy thousand words"--demonstrating Richardson's achievement, words-wise, by comparing Clarissa to War and Peace (560,000 words) and Infinite Jest (a "slender four hundred and eighty-four thousand")--might I point out that Madeleine de Scudéry's wildly popular novel, Artamène, ou le Grand Cyrus (Artamène or the Great Cyrus), published in ten volumes between 1648 and 1653--in other words, a hundred years before Richardson's novel--was over two million words long! But, of course, the creators of the novel were all male. And English.